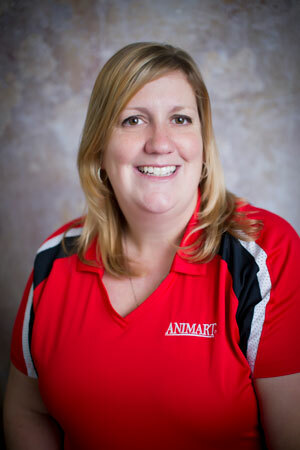 ANIMART, LLC is pleased to announce the recent addition of Megan Miller, DVM, to their Professional Services Team. She will work together with other ANIMART Northeast team members to provide comprehensive animal health solutions to dairy producers in New York State. Like most who pursue an agricultural career, Dr. Miller grew up in farming. Summers as a kid were spent helping her dad and grandparents on the family’s Canandaigua, New York dairy farm where her passion for working with animals was born. In high school, with the help of a few teachers, she discovered a love for biology. In 2003 she graduated from the University of Massachusetts – Amherst with a Bachelor of Science in Departmental Honors Biology. It was after earning her undergraduate degree that she decided to pair her love for biology with her passion for animals, and it was her family’s roots which led her to focus on bovine medicine. She attended the University of Wisconsin – Madison, School of Veterinary Medicine, completing her studies in 2009. Dr. Miller worked in Wisconsin for a short time before returning to New York to be closer to her family. Once back in her home state, she joined a busy mixed-animal practice, where she spent most of her time on dairy farms. After taking a few years off to attend to her growing family, she’s excited not only to return to working with animals, but also to join the ANIMART team.